Brimming with enchanting illustrations, thoughtful content and a fresh perspective, each issue of Breathe Magazine Australia comprises five chapters - Wellbeing, Living, Mindfulness, Creativity and Escape. Breathe is a joy to explore for anyone looking to slow down and live more intentionally - an oasis for the modern woman; a place to reflect, relax and refresh. Breathe captures the imagination and delivers practical advice and activities to help ‘make time for yourself’. With wellbeing guides and craft activities to relax your mind, to techniques for relaxation and inner peace, this beautifully unique magazine is the ideal place to create space in your life. 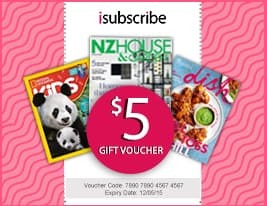 Be the first person to tell us what you think about Breathe Magazine Australia and you'll save $5 on your next purchase!